This PDF 1.6 document has been generated by LaTeX with hyperref package / pdfTeX-1.40.16, and has been sent on pdf-archive.com on 28/05/2018 at 12:36, from IP address 82.102.x.x. The current document download page has been viewed 129 times. File size: 846 KB (6 pages). iiWAS 2017, Salzburg, December 4-6, 2017 161-165.
technology within the client’s businesses. Services, Salzburg, Austria, December 4–6, 2017 (iiWAS ’17), 6 pages. fee. Request permissions from permissions@acm.org. © 2017 Association for Computing Machinery. are DISCO , ESCO  and ISCED . three steps procedure: concept extraction, weighting and matching. provider might be overloaded, others might have idle components. providers and are accessed by the user through simple requests. user must be able to access the services through simple interfaces. possible with the aid of mediator components as the middleware. profile editing, update and job search operations can be provided. Agreement (SLA) component addressing the needs of clients . can lead to a modification of the knowledge base stored in the cloud. belonging to a cloud it is responsible for. can cause inaccurate results that would affect the selection process. in case of abnormal execution. network sniffing, code profiling and application service logging. can be processed to either on the fly or postmortem. situations. The monitoring layer has been firstly sketched in . therefore, essential to have an accurate evaluation of the system. design concern regarding a quality attribute. connection with reflective ASMs . services involved, by a completely different, alternative solution. the relevant data to handle the execution of the adaptation . features, making it a better fit for the given problem. solution that can facilitate universal access to these services. more realistic matching between job offers and applicant profiles. of background knowledge concerning the different recruiting domains. “good English speaker&quot;, “proactive profile&quot;. although we have further investigated the filter-based matching. on facts not present in the knowledge base. of matching queries in particular, top-k queries  and gap-queries. extended result set of profiles. solutions in order to meet their specific needs. Province of Upper Austria in the frame of the COMET center SCCH. C. Andrés, M.-E. Cambronero, and M. Nuñez. Formal passive testing of serviceoriented systems. In IEEE SCC 2010, pages 610–613, 2010.
invariants: Application to the WAP. Computer Networks, 48:247–266, 2005. 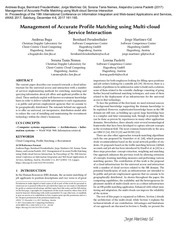 Web Services, chapter A Formal Model of Client-Cloud Interaction, pages 83–144. Springer International Publishing, Cham, 2015. Science, pages 219–227. Springer International Publishing, 2015. E. Riccobene, and P. Scandurra, editors, Formal Approaches for Advanced Computing Systems – 1st International Workshop (FAACS 2017), LNCS. Springer, 2017. Proceedings, pages 103–112. CEUR-WS.org 2017, June 2017. 2017), LNCS. Springer, 2017. (to appear). April 24-26, 2017., pages 455–462, 2017. M. Calzarossa, M. Della Vedova, L. Massari, D. Petcu, M. Tabash, and D. Tessera. revisited. ACM Compututing Surveys, 48(3):48:1–48:43, 2016. Engineering for Self-Adaptive Systems, volume 5525 of LNCS. Springer, 2009. European distionary of skills and competences. http://www.disco-tools.eu. conference on Software architecture (ECSA’10), pages 433–440. Springer, 2010. USA, May 23-24, 2011. ACM, 2011. N. Harrison and P. Avgeriou. How do architecture patterns and tactics interact? a model and annotation. Journal of Systems and Software, 83(10):1735–1758, 2010. VII, volume 6420 of LNCS, pages 97–122. Springer, 2010. MSR 2015, Florence, Italy, May 16-17, 2015, pages 362–366, 2015.
models, and applications. ACM Comp. Surv., 40(3), 2008. Article No. 7. Conference on Software Engineering (ICSE’94), pages 81–90, 1994.
architectural tactics. Journal of Systems and Software, 82(2):1211–1231, 2009. ISARCS (QoSA-ISARCS’11), pages 33–42, New York, 2011. ACM. 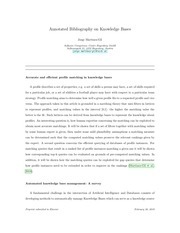 Logic and Algebraic Programming, 78(5):293–303, 2009.
agent based modelling. Annual Review of Sociology, 28:143–166, 2002.
on Autonomic Computing (ICAC’10), pages 195–204. ACM, 2010. 12-14 Dec. 2011, pages 146–151. IEEE, 2011. G. Morales, S. Maag, A. R. Cavalli, W. Mallouli, E. Montes de Oca, and B. Wehbi. Barcelona, Spain, July 3-5, 2017, Proceedings, pages 193–198. Springer, 2017.
needs. 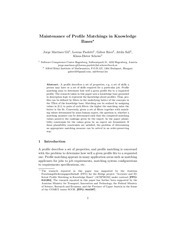 Software Engineering and Knowledge Engineering, pages 438–441, 2009. LNCS, pages 21–35. Springer, 2015. G. Rácz, A. Sali, and K.-D. Schewe. 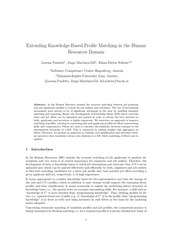 Semantic matching strategies for job recruitment: A comparison of new and known approaches. In M. Gyssens and G. R.
volume 9616 of LNCS, pages 149–168. Springer, 2016. 69–70, New York, 2009. ACM. Unified Modeling Language (UML), 2003.
challenges. ACM Transactions on Autonomous and Adaptive Systems, 4(2), 2009. K. Scarfone and P. Mell. Guide to intrusion detection and prevention systems (IDPS). http://csrc.nist.gov/publications/nistpubs/800-94/SP800-94.pdf, 2007. National Institute of Standards and Technology (NIST); accessed 2013-01-04.
and Collaboration in the Social and Mobile Networks Era. based on SNMP. JCAI, pages 680–682, 2009. This file has been shared by a user of PDF Archive. Document ID: 01877906.